The dreaded hearing. For whatever reason – maybe legitimate, maybe not – your Board has issued a hearing with your name on it. They want to meet with you over your behavior and they’ve got the power of the Bylaws behind them to issue a fine. You can accept blame – or you can choose to fight them. These Condo Association hearing tips for Owners will help you figure out how to navigate the process. First stop: honest self assessment. 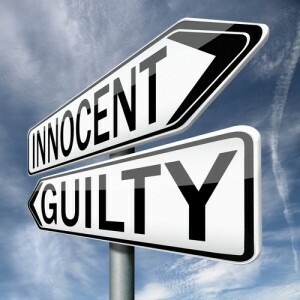 The first question you need to ask yourself is if you’re guilty. This is the time where you need to stop with the self-deception and be very honest with yourself. Even if you’re guilty, you can choose to fight. But lying to yourself will not end well. Figure out where you stand, because that’s important for what’s next. This is one of the most important Condo Association hearing tips for Owners. Very few Owners bother to ask about the process. Make sure you know what the format will be. If there is evidence against you, ask if you will have a chance to review it before the hearing. Find out if you can bring witnesses, if you have any to bring. Identify what the possible punishment would be if you are found guilty. You want to understand what you’re getting into – for example, if it’s just a warning as punishment and you know you’re guilty, save everyone the time and move on. Ask for copies of the rules that apply to the situation and hearing, if they exist. You should also ask about precedent for similar cases and punishments. The Board may not provide this information – potentially in violation of the bylaws – but you should always ask. While asking the Association is a good start, don’t trust their word alone. Read the rules – Bylaws and any related rules provided to you. Make sure everything is following the correct process. For example, if the Association has a Bylaw or rule that says you get to see evidence against you ahead of time, but the Association is refusing – call them out. There’s a chance they are doing it maliciously, but they also could just be sloppy and lazy. Have You Been Issued a Cease and Desist? If you haven’t been issued a cease and desist, check your Bylaws, rules, and – most importantly – the state Condo Act. Many jurisdictions require that you be issued a C&D before a hearing can be initiated. This gives you an effective “free strike” that might get you out of a hearing. If you have been issued a C&D – why have you violated the rule again? It may be painful, but you need to swallow your pride during a hearing. This is one of the most crucial Condo Association hearing tips for Owners. Don’t rant, don’t rave, don’t throw tantrums. Present your side of the story and any facts in your favor. If you know you’re guilty, show remorse and note that it won’t happen again. Your Board has a lot of power, so you need to be suitably respectful and humble – even if they are jerks. Make sure to document everything, and ask for a summary of the findings after the fact. Consider writing your own summary and providing it back to the Board as well. If you’re allowed to bring a witness or a co-Owner (rules vary), bring one so you have another witness in case you need to fight things later. An important thing to remember is the Condo Association has a great deal of authority to issue fines or other consequences as a result of a hearing. Even if they treat the hearing like a kangaroo court, you’re going to need to lawyer up to fight them. Therefore, it’s in your best interest to angle for the best deal possible to make the issue go away. Sometimes you’re going to want to ask for that lawyer, even if it costs you. If you know you’re dealing with a bad Board, you might consider bringing an attorney. Legal counsel will accomplish a few things. First, it will likely cause the Board to lawyer up as well, adding a level of “adult supervision” to the proceedings. Second, things will likely proceed by the book, which likely favors you, or it will open the door to follow-up action if you are treated poorly. Third, you’ll have a witness with legal training. This means if there needs to be follow-up action, you’ll have a lawyer who has witnessed the initial hearing. This gives you more leverage if you sue later. While a lawyer is very expensive, bringing a lawyer may actually be cheaper than fighting a legal battle after the fact. If you fight the battle after the fact, you’re going to deal with a lot of “he said, she said,” which means both you and the Association will spend a lot on legal fees. If you think you’ll need to go this route, having a lawyer from the start may ultimately be cheaper. Do You Want to be Right or be Happy? If you remember nothing else from the Condo Association hearing tips for Owners, remember this: Don’t fight Pyrrhic battles with Boards over silly stuff. Many people like to make stands over bad Condo rules – that’s dumb. A bad Board that makes bad rules will use its legitimate power to enforce those rules. You don’t want to be a trial case. But if you are facing a bad Board over a dumb issue, don’t hold back. Bring a lawyer and get ready to fight.